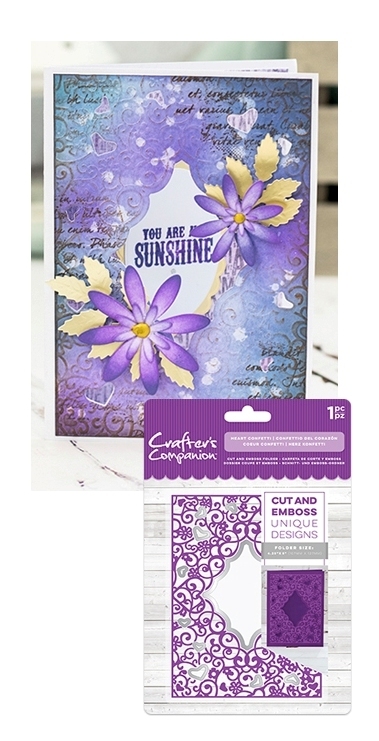 This 4 1/4 x 5 1/2 die cut and and emboss folder is a fantastic new concept that allows you to cut and emboss a design with just one pass through your die-cutting machine! Use most any die-cutting machine! You can bring this beautiful design to life in one easy step, using the carefully formulated plate combination below for your Gemini machine and create a beautiful project that really pops! The embossed detail is perfect for inking and colouring and you can use the cut out shapes to create a matt and layered effect or even add your own touch to the cut out area for a beautiful framed piece.